You have decided to purchase a vacation property or 2nd home, or are doing the research and thinking about buying one. You should feel secure in knowing that you are joining the ranks of thousands of families from all over the world and you are about to become an owner in one of the safest and fastest going resort areas in Mexico, Cabo San Lucas. You can rest easy in knowing that we have safe and secure property TITLES, backed by most all of the major Title Insurance Companies in North America, Financing can be obtained using your Mexcio home as the loan security, and automatic Estate Planning built into every ownership title (Fideicomiso) securing the thought that your Mexico property will be passed on to loved ones of your chosing without the need of additional wills, trusts or probate. Only a few short hours away from most major USA cities, a lot of North American families are re-thinking their day to day lives and planning their exit strategy. Mexico, is where your money goes farther, you can own a home with an oceanview for a fraction of the U.S. costs. A place where needing to get it done manana doesn't even have to mean tomorrow. Come relax, enjoy our beaches and sun shines. Let Team Cabo do the work while you enjoy the good life. In the following Free reports, you'll find the information you need to make wise buying decisions and avoid unnecessary and perhap costly buying mistakes on your first Mexican vacation property. We'll take you through the planning process step-by-step, give you pointers to help you determine which home or area is right for you. 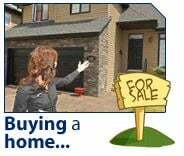 You'll find a host of other informative articles not only in this section but throughout our site, on mortgages, viewing homes, the offer, closing details and moving across the border and much more. Please feel free to contact us by using our "Contact Forms" or by the USA phone number provided and of course by email, about any questions related to buying a home in Cabo San Lucas or elsewhere in Baja California Sur. New vs Resale? Cabo Foreclosures? This debate is the same even in your home town. I have taken a look at our Los Cabos New home and Resale market as well as developments. Here in this brief report are a few helpful hints in sorting out this age old question. Drawn by the allure of a relaxing lifestyle, warm weather, white sandy beaches and still affordable prices on ocean view properties. We cross the border into Mexico on a hunt for our dream vacation home. We look at our travel list, sunscreen…check, bathing suit…check, a hat…buy it there….check. Well here is a list of items perhaps you forgot to check if you are thinking of buying or looking for a vacation property. Prior to entering into an Offer to Purchase for a property anywhere, it is good common sense to understand all of the costs. Here are a few of the Closing Terms you will hear and need to understand related to Closing Costs. I have also included a chart to approximate your closing costs before you even start the shopping process.